The California Department of Forestry and Fire Protection released a report Thursday detailing the cause of that 2015 deadly fire in Calaveras and Amador counties. They say it was sparked by a tree that came into contact with a power line. CAL FIRE says the state's largest utility or its contractors had removed two gray pine trees from a stand in January 2015, exposing a weaker, skinnier interior tree. The 44-foot-tall gray pine tree grew taller, seeking the sun, but eventually slumped into a power line, according to the report. CAL FIRE's Daniel Berlant says utilities have a legal responsibility to make sure no trees or plants come into contact with its lines, which can start wildfires like the Butte Fire. The fire started September 9 and burned for three weeks. 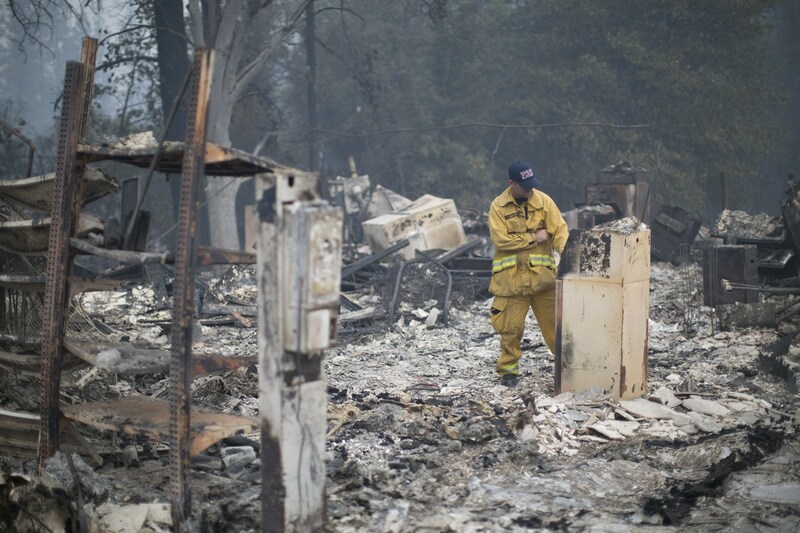 It killed two people and destroyed more than 900 structures, including some 550 homes. CAL FIRE says the amount they are seeking is believed to be the largest recovery amount ever sought by Cal Fire. The fire caused an estimated $300 million in insured losses and is the seventh-most destructive wildfire in state history. The agency forwarded the results of its investigation to Calaveras and Amador County prosecutors, which could seek criminal charges against the utility. Calaveras County supervisors also say the county will pursue all legal avenues and plans to seek hundreds of millions of dollars in compensation from PG & E.
"Our thoughts and prayers are with the victims and the individuals who lost their homes in the Butte fire. We are reviewing CAL FIRE’s report in its entirety. As we’ve said since September 16, we cooperated fully with CAL FIRE in its investigation on the source of the ignition for the Butte fire. We are committed to doing the right thing for our customers and will respond in the normal legal process."